This year’s jubilee edition of the TT Warsaw International Travel Show is really unique. It is for the 25th time that we would meet at one of the most important international tourism events in Central and Eastern Europe. TT Warsaw International Travel Show for the last years has become a significant meeting spot for tourism industry. A place which provides a great atmosphere to exchange experiences and make promising contacts for the future. Every year the organizers work hard to ensure the best possible conditions for talks of this very kind. This is the place that allows to deliver a very specialized promotion of places, offers and tourist attractions as well as giving the people participating in it chances to make new connections and acquaintances. The history of TT Warsaw goes back to 1993, when our first meeting took place in the walls of the Palace of Culture and Science. The meeting was attended by 139 exhibitors from 28 countries, mainly from Central and Eastern Europe. Today there are many more of them. During these 25 years, TT Warsaw crossed not only the borders of the region, but also of the continent – we are honoured to host exhibitors not only from Europe, but also from Africa, Asia and the Americas. 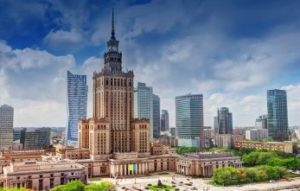 This continuity is of great significance for building prestige of the trade show event and as a result – for establishing business contacts between the Polish tourism industry and its foreign partners. This year’s edition is unique also for one more reason. In the jubilee 2017 edition of the show it is our country – Poland – that is the partner of TT Warsaw International Trade Show. I am convinced that this will allow us to emphasize the tourist potential of our homeland and to emphasize its beauty and diversity. And I have absolutely no doubt that these values are going to delight the whole world with no exceptions. Poland has a lot to boast about. We have a very rich tourist offer for both, individuals and tourists interested in organized trips. We are also developing offers of cultural, active and medical tourism, spa and wellness. In Poland everyone would find something for themselves. This year’s edition of the trade show will also feature the most important awards in Polish tourism. The Polish Tourist Organization will award the certificates to the best tourist products at the gala ceremony on November 23rd. These are going to be examples of the most attractive, innovative and tourist-friendly products that might be treated as symbols of Polish tourism. I would like to thank the organizers for creating such a unique meeting spot and providing us with unique atmosphere that might be called a magnet for many visitors and exhibitors. I am really impressed with the momentum with which the program of the 25th edition of TT Warsaw Trade Show was planned. This year I particularly thank you for the proposals of the industry debate summarizing the last 25 years in tourism. I am convinced that this is a great opportunity to exchange ideas on what have we achieved over the past 25 years and to face the challenges of the future. Finally, I would like to invite all visitors to participate in the trade show very actively. I wish the exhibitors successful show and visitors – unforgettable sensations!